You might be able to relate to Angela Van Buskirk’s early years. She describes her fitness regimen as one full of excuses, stating she always had a reason why she couldn’t participate in gym class, or explaining how she found ways to weave her way into the back of the line to avoid any physical activity. Angela even recalls being the reason the whole class had to do an extra lap, simply because she wouldn’t “go!” when the teacher called out the command. 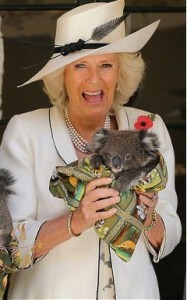 This was the theme of her active life for many years. But a tragic turn of events would change all of that, leave her with one leg, and four marathon finisher medals. After doing nothing more than bowling as exercise, Angela found herself a 5’6” woman weighing in at 272 pounds by the year 2000. This number stirred her to a first step toward fitness. She hired a trainer and lost a lot of weight, using the elliptical and treadmill for cardio. The activity and weight loss made her feel incredible. 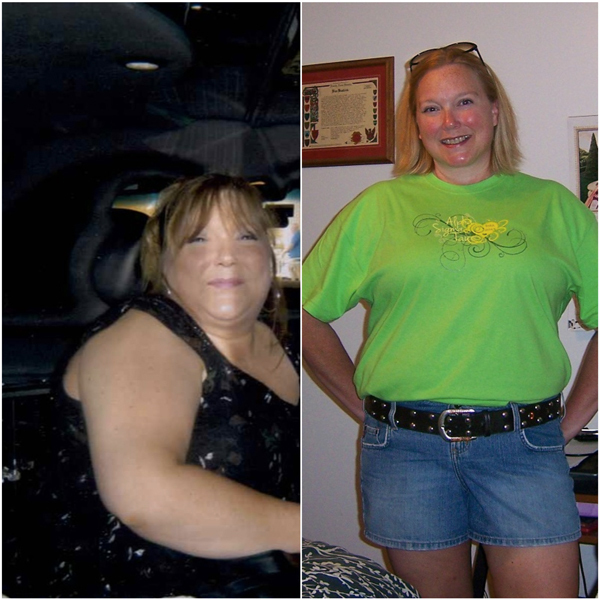 With the success of winning the battle of her weight fresh, Angela’s life took a tremendous turn when she and her family were involved in a terrible car accident in the summer of 2001. Her entire family was rushed to the hospital, her husband was airlifted in fact. They all suffered pretty awful injuries, but remarkably Angela refers to this tragedy as a turning point in her life. Angela’s injuries required x-rays that revealed what the doctors said were, “some sort of lesion.” Upon further testing, it was discovered that Angela’s entire left femur was filled with an aggressive desmoplastic fibroma. Her entire left femur had been eaten by the “lesion” and was extending into her hip. Amazingly, this aggressive force was benign and Angela found a doctor who was able to save her leg, replacing the bone with a rod. While the car accident was horrible, Angela calls it a good thing. Those are the wise words of nutritionist Deb Burchardt, M.S., R.D, L.D. as we discussed the issue of shrinking with age. It’s not simply an “old lady” condition, it’s a very serious symptom of a very serious issue. Burchardt explained in more detail that shrinking is a direct symptom of osteoporosis. The shrinking comes as one’s height is affected due to the compression of the spine. The spine is compressed due to the bones not being strong enough to stop it any longer. Camilla Parker Bowles, the Duchess of Cornwall, is championing a new cause these days: Her concern for teens and the path they’re heading down with their diets, which could lead them to a life of suffering from Osteoporosis. Osteoporosis is a disease that affects the bones, making them fragile and easily breakable. Currently nearly 3 million people in the UK are suffering from the disease, and more than 250,000 fractures occur every year as a result. Some suspect it’s the non-dairy and wheat-free fad diets that are putting these teens at risk. If they fail to build their bone strength up prior to reaching the age of 35, their chances of developing the disease are much higher. “To unite with all of you today is so important, to get the message worldwide to people that it can be prevented,” said Bowles. 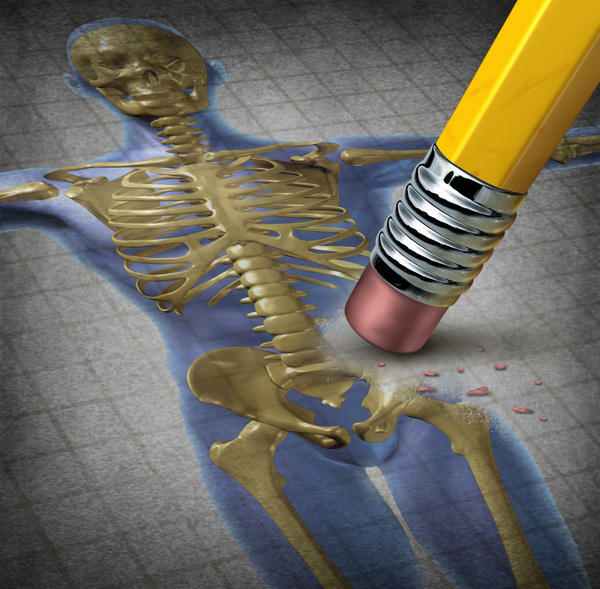 Osteoporosis is the thinning of bone tissue and loss of bone density over time. In light of May being National Osteoporosis Month, it seems appropriate to take a look at some of the causes and consider some of the foods that can help strengthen your bones. Some of the leading causes of osteoporosis are lack of vitamin D, sedentary lifestyle, estrogen deficiencies in women, and low testosterone in men. According to Dr. Linda Russell, a Rheumatologist at the Hospital for Special Surgery, there are certain factors that can put you at higher risk for osteoporosis including being Caucasian or Asian, having a petite body, going through menopause before age 45, tobacco use, family history of osteoporosis, and taking medications like glucocorticoids, aromatase inhibitors and anticonvulsants. For those who may be at risk, you can get tested. Can arthritis be cured through diet? Is there such a thing as an anti-arthritis diet? Science and our own government have shown that almost every chronic degenerative disease acquired by Americans is the result of a nutritional deficiency. Many years ago, while researching the effects of nutrition on health, I ran across a stunning newspaper article with a heading that read, “21-Year Cover Up: Suppressed 1971 U.S. Report Linked Diet, Disease”. This article explained how our own government through the USDA had suppressed a U.S. government report that had been released way back in 1971. The report was called Human Nutrition, Report No. 2, Benefits from Human Nutrition Research. This report was the culmination of $30 million worth of federal nutrition research and it revealed for the first time that all major health problems and killer diseases were the result of poor diet and nutrition. 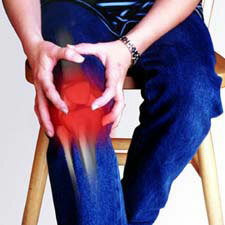 The upshot of all this is that arthritis, like many other diseases, has its roots in nutrition. So what diet works for those who suffer from arthritis? Well arthritis is an umbrella term. The word arthritis literally means joint inflammation, but is often used to refer to a group of more than 100 rheumatic (inflammatory) diseases that can cause pain, stiffness, and swelling in the joints. These diseases may affect not only the joints but also other parts of the body. For most, impact exercise is a good thing. The more force you apply to your bones, the stronger they become. Unfortunately, the vast majority of the population is physically falling apart due to being sedentary, overweight, and all around just plain horrible to ourselves. To be fair, many have legitimate joint and bone injuries, or are recovering from surgeries that also require them to stick to low and no impact modes of exercises. There is no shame in that. Low or no impact doesn’t have to mean taking it easy- it just means working out differently. You can get just as intense of a workout while still being mindful of your limitations. To determine if something is high impact, ask yourself if your feet leave the floor, and how hard they come back in contact with it. Your bones and joints are required to absorb the shock, and the impact of this can be too much for many. There are two things I’ve learned since moving into my new home. 1. I had no problem meeting my step goal from Miss Courtney Crozier’s summer challenge since I now have 3 sets of stairs to go up and down all day. 2. The creaking noise I’m hearing is not from my stairs, it’s from my knees. I’m not sure what caused it: whether it’s my years of sports playing goalie and catcher in high school or rugby in college. It could be the stress on my body from the extra 120 pounds of weight that I had less than a year ago. Maybe I’m just getting, dare I say it, … getting old?? The good news is I’m not in pain…yet. However, this could be the warning signs of something greater and as a health care professional I should not be ignoring things. I am considering taking some supplements to help lubricate my joints like I’m the tin man in the Wizard of Oz. Are you bad to your bones? 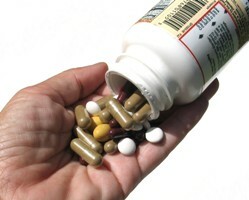 There is a growing trend in the United States and Canada: calcium and vitamin D deficiency. Bone mass reaches its peak around age thirty so calcium and vitamin D are critical in helping you to prevent breaks or fractures down the road. 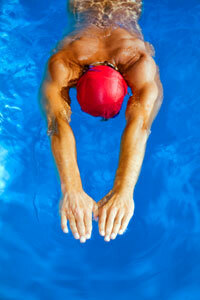 As important as strong muscles are to your overall health, bones are what hold us together. Otherwise we’d just be a puddle on the ground. I’m hoping I can shed some light on all the benefits that calcium and vitamin D have to offer. Vitamin D is key in helping to produce strong bones. It also helps absorb calcium from the intestines so that is why you find so many products with the two in combo. The current recommendation depends on age, but for a woman age 18-30 you are looking at around 600 internal units (IUs) per day. Our bodies naturally convert vitamin D into a usable form from midday sun (between 10 am and 2 pm). People like me who live in northern parts of the world and get to see old man winter usually do not get enough midday sun to make our own vitamin D.
I will never forget the day I saw an elderly woman fall on the sidewalk in front of me. She fractured her wrist and I saw where the bone had punctured the skin. I vowed, then and there, to always, always take care of my bones. I take my calcium every day, along with Vitamin D and Magnesium. In addition to those supplements, though, bones need weight bearing exercise in order to stay strong. “The exercise must place a load on the bone that’s heavy enough and different enough to stimulate a bone response,” says Robyn Stuhr, American Council on Exercise spokesperson and clinical exercise physiologist. Osteoporosis, or weakening of the bones, most commonly afflicts elderly women, but 20 percent of diagnosed cases are in males and osteoporosis occurs in people in every age. The most commonly affected bones are the spine, hip and wrist and thankfully, those are areas that can easily be strengthened. 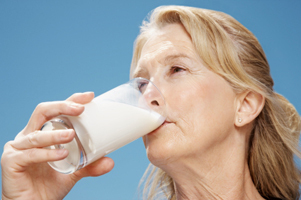 It’s important for everyone to get enough calcium, but women are especially at risk for calcium deficiency, which can lead to osteoporosis and decrease bone health later in life. Even though there is calcium in many of our favorite foods, it can still be difficult to meet the recommended daily allowance for the important mineral. 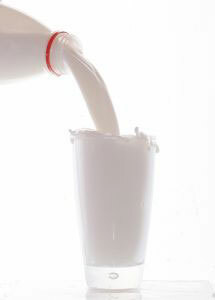 Dairy products provide calcium, but people with dairy allergies, lactose intolerance and vegans need to look to other food sources to fill their calcium needs. Foods high in calcium include: almonds, broccoli, spinach, cooked kale, canned salmon with the bones, sardines and tofu. Attention all Diet Coke and Diet Dr. Pepper lovers: Soda has been linked to osteoporosis, a condition that is marked by bone loss and puts you at risk for fractures, splints and breaks. We all know by now that the sugar in soda is linked to a host of health conditions, from obesity to dental cavities. Now soda is earning demerits for its association with degrading the skeletal system. The problem though is not with all sodas, but with the colas. So drinks like Sprite, 7-Up and Mountain Dew don’t appear to have the same bone-weakening effect as dark sodas do. 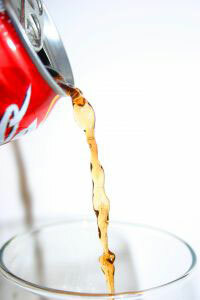 Researchers at Tufts University found that women who regularly drank cola-based sodas (three or more a day) had almost four percent lower bone mineral density in the hip, even when calcium and vitamin D intake were accounted for. So what exactly is in dark sodas that is putting your bones at risk?